Asthma and posttraumatic stress disorder (PTSD) are often linked. There are a number of different types of traumatic events that can lead to the development of PTSD, and one such type is the experience of a life-threatening illness, such as asthma. Asthma attacks definitely meet criteria for a traumatic event according to the 4th edition of the Diagnostic and Statistical Manual of Mental Disorders. First, asthma attacks may be life-threatening or cause physical harm. In addition, the unexpected nature of an asthma attack, as well as the physical symptoms that accompany an asthma attack, may bring about feelings of fear, helpless, and horror. Given this, asthma can definitely be considered a potentially life-threatening illness that could lead to the development of PTSD symptoms. Researchers found that adolescents who had a life-threatening asthma episode were more than twice as likely to meet criteria for PTSD as compared to adolescents without asthma. In a study, 20 percent of adolescents who had a life-threatening asthma episode was experiencing PTSD symptoms at a high enough level that they could be diagnosed with PTSD. The parents of adolescents who had a life-threatening asthma episode were also showing signs of PTSD. Almost 30 percent of the parents of adolescents who had a life-threatening asthma episode met criteria for PTSD due to the asthma episode compared to only 2 percent of parents of adolescents without asthma. The high rates of PTSD symptoms found among adolescents and parents of adolescents with a life-threatening asthma episode are alarming. 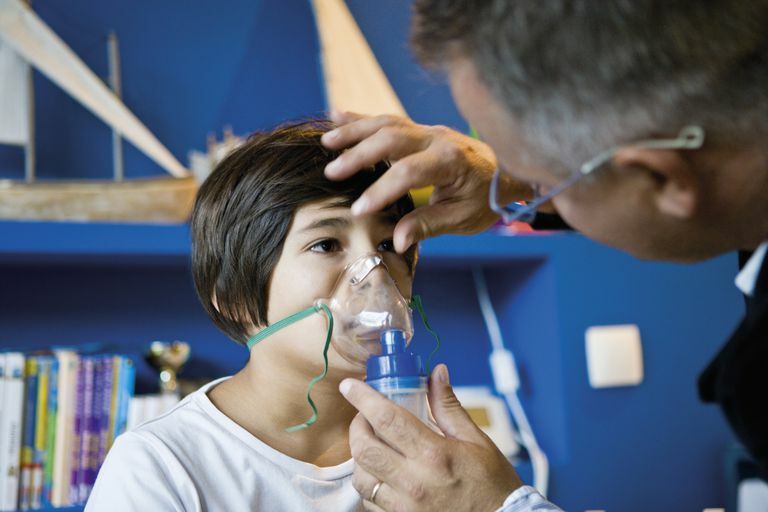 Study findings suggest the importance of teaching families to be aware of the potential psychological effect of experiencing a life-threatening asthma attack. This is particularly important when you consider that the experience of anxiety and stress that occur in PTSD may exacerbate chronic illnesses such as asthma. If you have a child with asthma or if you have asthma, there are a number of coping skills you can learn to reduce your risk for a life-threatening asthma attack, as well as PTSD. Asthma and Allergy Foundation of America (2011). Asthma facts and figures: http://www.aafa.org/display.cfm?id=8&sub=42. Accessed November 20, 2011. Kean, E.M., Kelsay, K., Wamboldt, F., & Wamboldt, M.Z. (2006). Posttraumatic stress in adolescents with asthma and their parents. Journal of the American Academy of Child and Adolescent Psychiatry, 45, 78-86. Why Is There Such a High Percentage of PTSD in the Military?